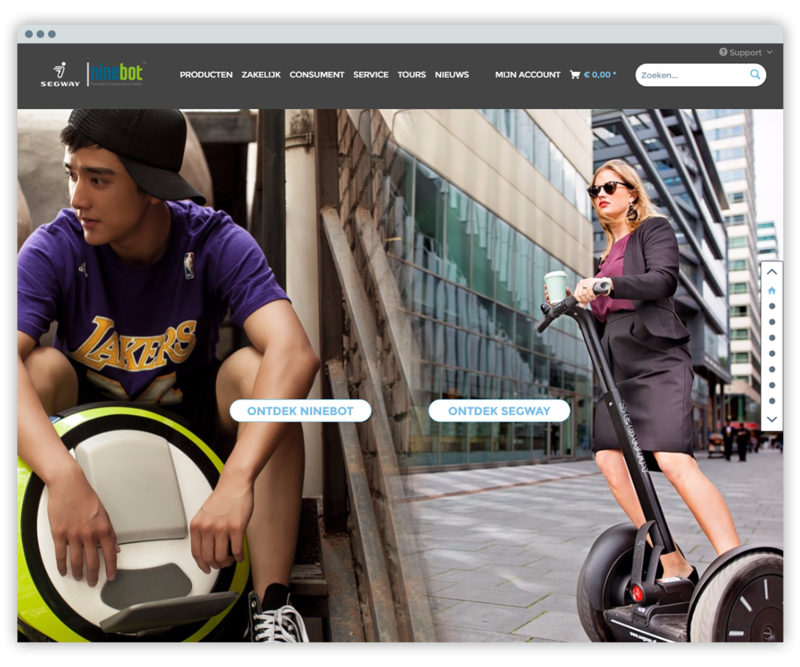 Schöppingen, Germany 20th January 2016 — A leader in the emerging small electric vehicle market, Segway Nederland, has launched its new online shop using Shopware 5 as the software basis. Realized by partner Sition, the online shop is Shopware’s first major project to go live in the Dutch market. The online shop relies on the so-called storytelling method, which is feature developed by Shopware to bridge the gap between offline and online shopping. Sition designed the shop as a hybrid between webshop and informational website. Michel Doens, owner of Sition, explains: “The storytelling pages draw attention to the products but also give insight into how the products of Segway and Ninebot can be used.” As such, the website features various scenarios of Segway application, such as for agriculture, police force, logistics, tourism and much more. 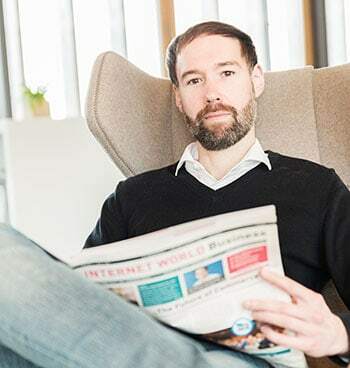 “We think the focus in many businesses in the Netherlands is more and more shifting towards experiencing the product, offering much more than just product details. The customer wants to be seduced, guided but also wants to get their information as direct, easy and fast as possible on multiple devices. Shopware offers all this in its packages,” said Piet Kruijt. The launch of the online shop comes one year after Segway and Shopware met at the 2015 Webwinkel Vakdagen; the largest eCommerce exhibition in the Netherlands. All three parties involved in the project will be attending the 2016 Webwinkel Vakdagen to present the online project to visitors. “We greatly look forward to presenting the project to the public at the Webwinkel Vakdagen. Between Shopware’s infrastructure and Sition’s experience realizing special requirements, we feel the Segway - Ninebot project is a strong starting point for Shopware’s success in the Netherlands,” said Wiljo Krechting, spokesperson for Shopware. For further information, please visit www.segwaynederland.nl or visit the Shopware stand at booth A50 at the Webwinkel Vakdagen.